For long waffles have been pigeonholed as a simple breakfast item. But what you are about to witness in this write up is something really to sugary, full of calories in fact some inducing waffles that you will ever see. 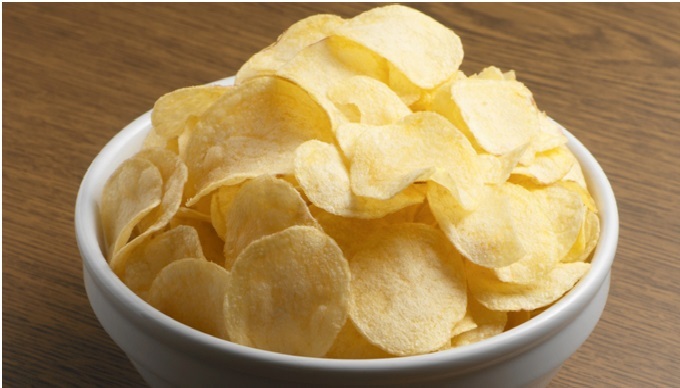 Well if you are a weight watcher this might be bad for you, but how will you stop your heart after a single mouthful? Its surely going to be a dead difficult task. 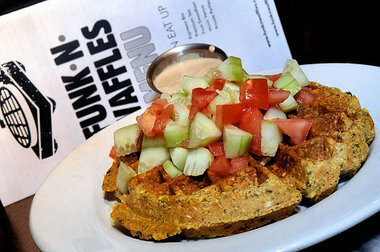 Check out the 7 most delicious waffle you have ever seen. 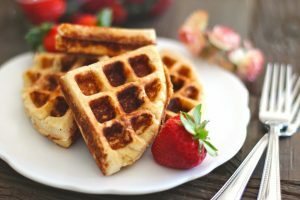 Typically made in a Belgian-style waffle iron these are decadent dessert waffles which are absolutely crisp and light. One interesting thing which is hard to believe is that these are made with whole wheat flour and sourdough. Don’t worry of you don’t have a Belgian-style waffle iron you can always make it in the traditional waffle iron. 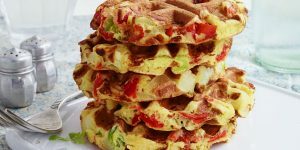 Time for a savoury waffle, these are mini waffles loaded with some fresh herbs, feta cheese and cute little cherry tomatoes. We all love Falafel, but this recipe takes falafel to an absolutely new height. Nothing can be more perfect for a breakfast than this one. sprinkles on deserts always remind everyone of their childhood isn’t it? Childhood is always fun and these beautiful sprinkles add more much to it. 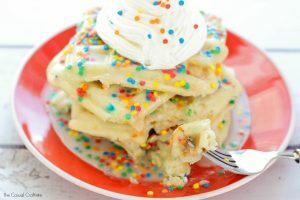 These Funfetti waffles are simple waffles with some sprinkles on it, just add it to the batter and sprinkle some over the waffles also. Sounds line Omelette isn’t it? 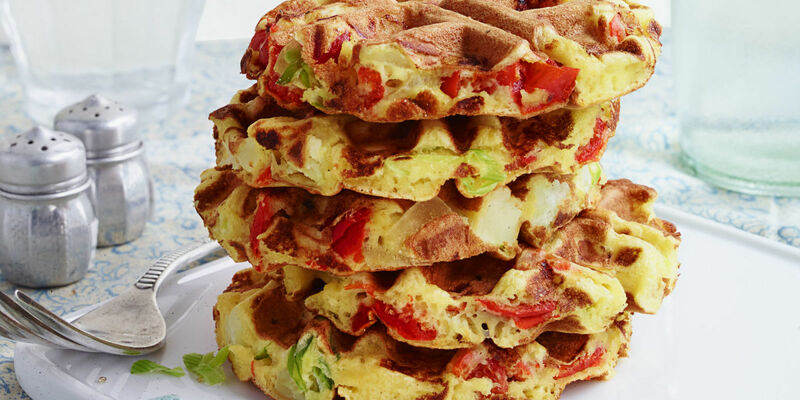 Don’t get confused this is omelette and waffles twisted together. But the added flavours of Gruyere cheese, cooked potatoes and green onions make it more special. This is a fun twist to the classic soul food. 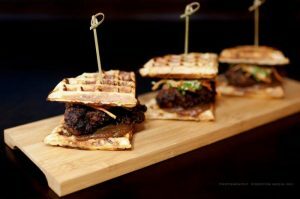 This time the main twist is waffles chicken sliders. The fried chicken sliders are surely comfort food in its finest form. Chicken and waffle sliders are damn easy to make, eat and love. An absolutely super star breakfast dish which is bound to set your power right up and that too through your day. The grains play the real power here and the taste is absolutely yummy which is sure to tickle your tummy. 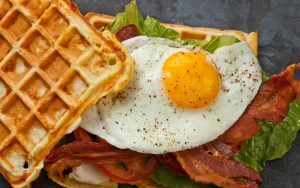 I know most of you just love Bacon, and the Waffle BLT is just the right pick for all you waffle lovers. 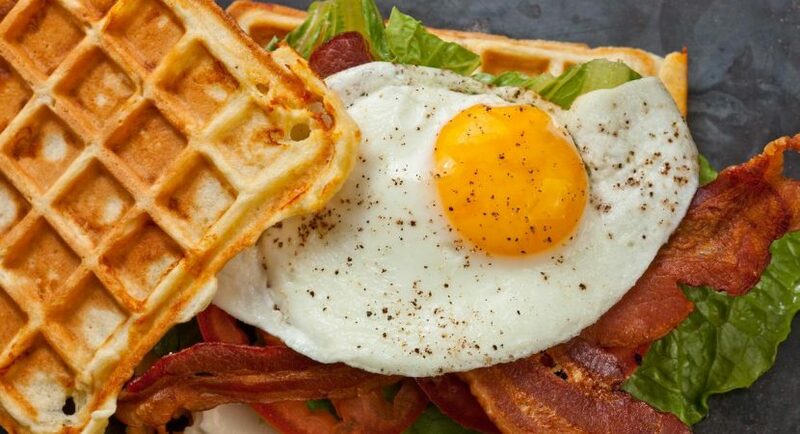 This waffle bacon sandwich will make everything else on the table taste tasteless. 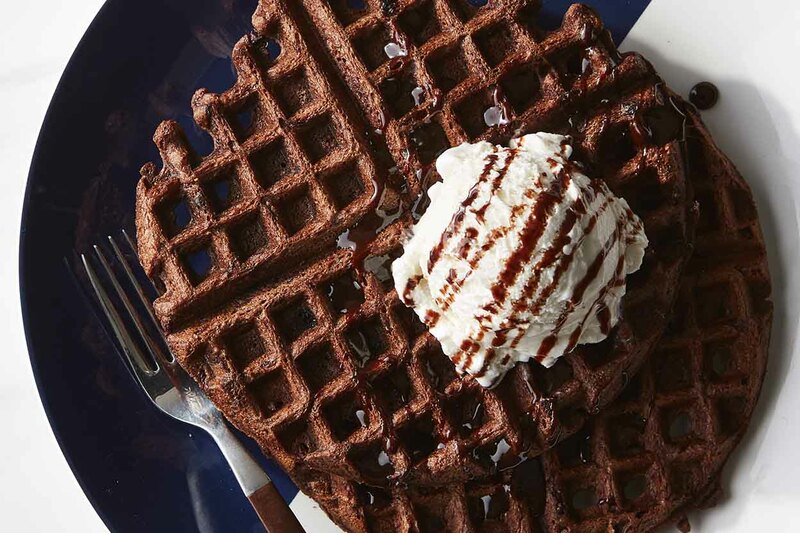 So do try out this surprising spin on the classic waffle for your next meal. 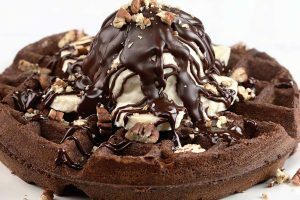 Waffles are just not a breakfast dish, so why not use your waffle irons to create the above scrumptious waffle dishes. This time try it for lunch, dinner or as a dessert! A midnight snack isn’t a bad idea too! Image Source: Image 1, Image 2, Image 3, Image 4, Image 5, Image 6, Image 7 & Featured Image.